Greetings! Here’s your list of teachers/places that offer yoga, or yoga-ish type classes in the Lumberton area. 10 class cards now $100. 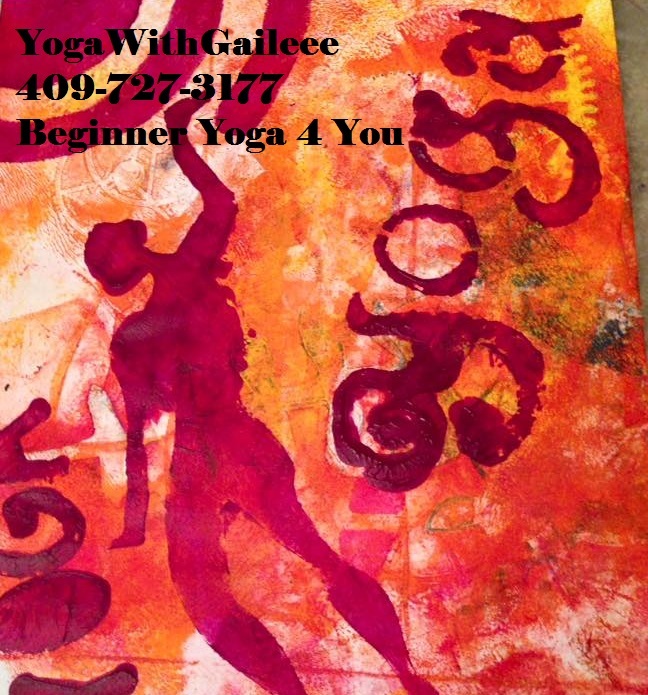 Yoga classes in Orange & Bridge City, Texas! Wow so many! Updated 2019 ! Wow! So many yoga offerings now in Orange County, for the Orange Texas area. So excited. 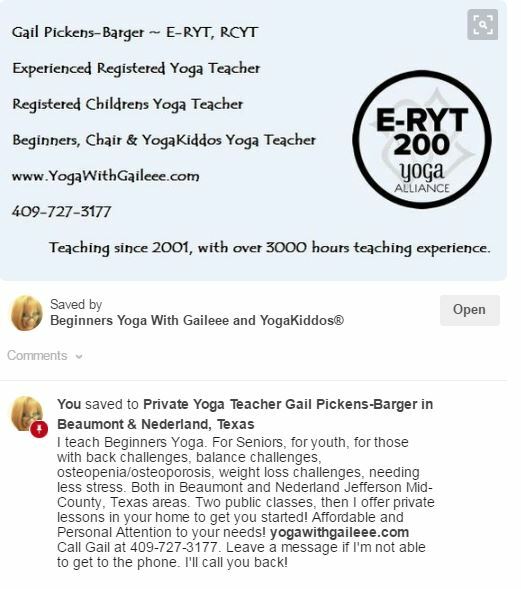 I try to keep up to date on what is being offered in the “Golden Triangle Area” for yoga and other mind body experiences. Here’s my list. Let me know if I need to add YOUR class! Yoga with Gail. Beginners, Kids, Seniors, Osteoporosis Yoga and Private Lessons 409-727-3177. BodyWorkz – Yogis & Sculpties Facebook Page. Registered Prenatal & Childrens Teacher recognized through the Yoga Alliance with over 17 years teaching experience. I teach private yoga in people’s homes or place of business to meet their specific needs. Additionally I teach four community classes, two of which are open to the public. Beginners Yoga on Mondays at 6:15 pm for $10 at Wesley United Methodist Church, 3515 Helena Avenue, Nederland, Texas. Adaptive Chair Yoga on Thursdays at 10 am for $5, again at Wesley UMC. Come a bit early your first time to the classes. Through the Mother’s Day Out Program at Wesley, I teach YogaKiddos to the 4 and 5 year old classes. We use story books, themes of the seasons for our lesson plans. Recently our class participated in the 2nd annual International Kids Yoga Day. Lots of fun! I also conducted a class to help our local Girl Scout Troupe at the church earn their yoga badge. We did yoga poses, then I had each girl demonstrate a yoga pose. They were given handouts to use to show their families the different yoga poses that they learned. The Girl Scouts also donated food toward our Back Pack Food Ministry at the church. Lastly, I teach a Mindful Exercise class at the High School to help kiddos to deal with anxiety, focus, concentration and with “tech neck”. They are lots of fun and always are wanting to learn more! 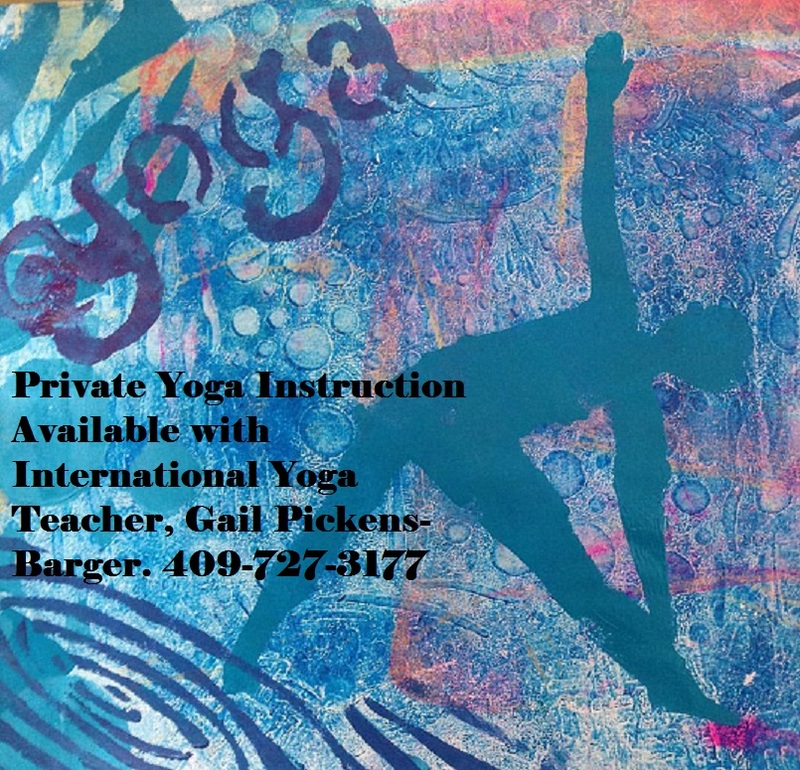 Call Gail at 409-727-3177 to see how yoga can benefit you!